Pleasant. knowledgeable & enthusiastic. We opted to do car rather than trying public transport options and saw a lot of Jaipur in the half day tour we booked. Happy to recommend him. Ravi's unique full day city tour is done by public transport. Tuk Tuk & Public bus. We are 70+, not a problem when in Ravi's care. Need to accept you are not going in a limo, doing it like a local. Dusty, noisy, bumpy, but you will enjoy it. Ravi gives 100% +. Let him know what you must see & what you do not want to see (eg stone & textile factories, temples or whatever) he will adjust to suit. We loved it. TOUR GUIDE RESPONSE: Reverend Sir, Thanks your excellent rating and nice words about my services. During the tour you were so kind & generous to me. You are very good gentlemen and always cared me. Meticulous. Pls convey my greetings & respect to madam. Says hi to your grandsons. Pls do not forget to visit at my house for supper & dinner. With best wishes and profound regards. Ravi is an amazing guide with excellent English and is very willing to adapt to specific needs. I wanted to visit a village outside Jaipur to learn more about how people live there and Ravi made my experience magical. I fell like I have a new friend and a new Rajasthan family as well. I spoke to his daughter on the phone and saw his wife as well. I wish my day could have been longer because he invited me to his home but I had a flight t catch. Next time!! TOUR GUIDE RESPONSE: Respected Madam Greetings from Pinkcity ! Thank you very much for your nice & Loving words. It was my pleasure ,& honour to extend my best services to show you the life of Villagers. And really during this tour you too we're so kind & generous to me. 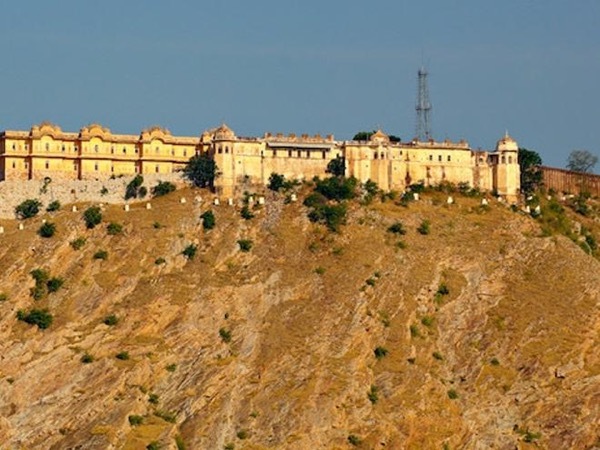 Once again I would like to to be your tour guide to show the historical places around Jaipur. Pls take care. With best wishes and kind personal Regards. Ravi took care of us during our stay in Jaipur. He customized our took according to what we wanted and made our trip memorable. Thank you very much Ravi. TOUR GUIDE RESPONSE: Respected Mr.Nanuel Lim...During your 3 days tour you were so kind & generous to me. Pls convey my greetings & best compliments to all Respected family members. See you next time in around Jaipur tour. Take care. With profound regards. TOUR GUIDE RESPONSE: Reverend Mr.Bernard Carlin ....I'm very glad to hear you and have such nice words from a great personality who is having a vast experiences of life visiting a lot of countries. I am very grateful to you for such lovely & beautiful words for my services. During the tour you all were so kind & generous to me with kind courtsey . I am thankful to you. You all are always welcome next time pls be my special guest for dinner & supper party with my family. Pls convey my greetings to all. With best regards. We enjoyed a pleasant tour of Jaipur highlights with Ravi. Ravi was at all times considerate of our interests and timed each visit accordingly. We have no hesitation in recommending Ravi. TOUR GUIDE RESPONSE: Respected Sir, first of I would like to know Reverend Madam health how she is, hope you and she is fine now. Due to your health problem I could show you all the sight seeing of Jaipur. Pls you are always welcome any time. I am always with you. You both are so kind & generous to me. I really missing your company. Really you are very knowledgeable & interesting person, person like you is difficult to find. Pls take care of respected madam. Pls do not hesitate if I can be helpful/assist you .thanks & rgds. Ravi ensured we saw what we wanted to in our two days with him in Jaipur. He adjusted timings to suit and even took us to his Sister's house to show us how she cooked because we expressed an interest in this. We received great hospitality. He is a really welcoming person. TOUR GUIDE RESPONSE: Reverend Mr.Gary Dixon Hi Greetings from Jaipur. I am very glad to hear from you. Thanks for your kindness. You were so generous to me during the tour. It will be my great pleasure to serve you once again. Pls convey my best regards to all family members & Respected Mrs. LInda madam too. Once again thanking you and with profound regards. Ravi. What a fantastic tour Ravi provided us with! We had briefed Ravi in advance that we were in a hurry as we only had one day and wanted to see as much as possible. Ravi delivered exactly what we asked for and it was a real fun and informative day. We loved it and rate it as one of the best tours we have taken in Asia. I would have no hesitation in recommending Ravi and urge anyone visiting Jaipur to book him up. Bravo Ravi!! TOUR GUIDE RESPONSE: Reverend Mr. Mark Roy hi. Thanks Always it will be my pleasure to serve you again. During tour you were so kind,generous to me. Pls conveys my best regards , greetings to mam. So nice of you. Warm regards. Ravi was very good. He adjusted parts of our tour based on our time, interests, and things we had already seen. He did a lot to make sure that moved around crowds in order to see everything. He is very friendly and offered to have us over for dinner with his family. He often had stories about the city and sights based on experiences from his childhood. And he helped arrange our car ride to Delhi with our driver at a better rate than we would have paid through the hotel. Thanks, Ravi! TOUR GUIDE RESPONSE: Respected Mr. Thomas Mr. Steven..I am glad to see your comments and rating, would like to convey my sincere thanks for the same. You both are so nice person. See you next time with my best services for tourist places around and outer jaipur city. Please take care & pls convey my greetings to all. Warm regards. TOUR GUIDE RESPONSE: Respected Ms.Maria Egusquiza During this tour you are so kind & generous to me. Certainly it will be my great pleasure & honour to meet you again in Jaipur and serve you my best services. Please convey my best regards to all at home. with best regards. My wife and I thoroughly enjoyed our tour of the Chanbadi village east of Jaipur. Ravi introduced us to his uncle and cousin and we really liked meeting people in this way. The village was wonderful and it was great meeting people at a more personal level than we would normally expect passing travelling through a large country like India as tourists. TOUR GUIDE RESPONSE: thank you very much for your nice words you were so kind & generous to me during your tour. wishing you all the best. hope to meet you again and serve you my best tours in Rajassthan. with warm regards. My tour was somewhat out of the ordinary, as I wanted to see some things not necessarily on Ravi's tour. He was very accommodating, and I enjoyed my day with him. Knows a lot of history about Jaipur. I'd hire him again! TOUR GUIDE RESPONSE: Dear Reverend Mr.Steve Frykholm It is was my honour & great pleasure to meet you and to serve you. During tour you were so kind & generous to me. Yes certainly it will be my great pleasure to meet you again and serve you the best. Wishing you a wonderful & enjoyable time. Take care. With warm regards. Ravi is a well knowledge tour guide with 3 license from Rajasthan Government and private. In India, you will got difficulty if your tour guide without Licenses. I'm lucky choosing him as my tour guide. He explained everything to us from safety, security and his town Jaipur. He is holding safety certificate also. He always walking fast, but very very polite to wait us until we finished our selfie or photography. TOUR GUIDE RESPONSE: Dear Respected Ardianto Hendriasmono Hope you all are fine and enjoying the holiday in Rajasthan. I do not have sufficient words to express my gratitude and convey my sincere thanks to all family members during this tour you all were so friendly & kind, generous to me. Please convey my best regards to all. Take care. See you may be next year. With warm regards. He is a very sincere and caring person and tries to please you and accommodate your requests. So in that respect he is a very good guide. However his English is not all that good. You can understand him, but only after repeated questions about what he is trying to say. If his command of English were better, his rating would be much higher. He was not my typical experience using TbyL. TOUR GUIDE RESPONSE: Thank you very much for your nice words towards my services. During your journey & visit to Jaipur you were so kind & generous to me. I am so grateful to you and waiting for the next time to serve you the best. Please take care. With best wishes and profound regards. Our tour was amazing. Ravi was full of information and explained everything to us. The car was comfortable and the driver good. What we all liked about Ravi was he had a good sense of humour and we had lots of laughs. Thank you Ravi we had a wonderful time and would definitely recommend you to anyone who wanted to take the tour. TOUR GUIDE RESPONSE: great words for me it was a wonderful time for me. i convey my sincere thanks to all of you. you all are so generous & kind to me i certainly await to see you next year in jaipur. take care.with best regards. Ravi did a great job showing us the forts and palaces of Jaipur. He was mindful of the heat (it was hot on our tour)and made sure we were all very comfortable. He knows his city well and we enjoyed his as our guide. Ravi is the best! I never could have done a tour of Jaipur in such a wonderful way if it weren't for Ravi. He is super friendly, super knowledgeable, over the top with his hospitality. He invited us to his home for dinner and to meet his family who were all so kind and the food was delicious! It's obvious that he loves his job and he does his best to make your experience unforgettable. TOUR GUIDE RESPONSE: so lovely & nice words. I am so grateful to you for your kindness. thank you very much. I really miss your conmpany. with best regards. Ravi is a good guide who is proud of his country and city and enjoyed showing us the highlights. He does not like to waste time is able to get through the sights in record time and we appreciated that. He provided a special locals experience by inviting us to his home for tea. We enjoyed meeting his family and neighbours. I recommend him. TOUR GUIDE RESPONSE: Thank you very much. Profound regards. Ravi gave me an extensive tour of Jaipur, he's a fast walker as he likes to cover alot during a tour, so you need to tell him to slow down, he just wants you to see as much of his city as possible before you clunk out from the heat. I would totally recommend him for those who like it fast paced and also let him know how much you can do and he will work with you at your pace.